ZERO / ZIIIRO numbers on a watch? - Hello! Welcome to my blog! Ultimate minimalist to the extreme. started out as a concept and named "zero". 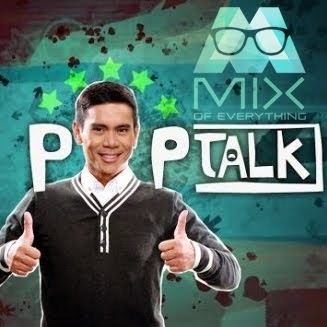 Check out info about their company. 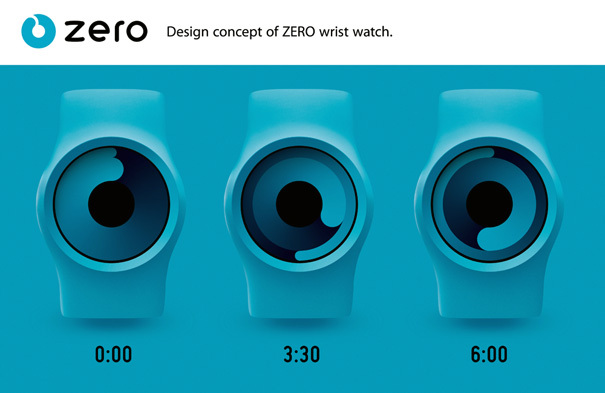 The concept of the first ZIIIRO Watch is a clock face without hands or markings, but a constantly changing pattern of rings indicating the passing of time. The main theme is minimalism, so there are no distracting elements in the design, and after a short time you will acquire a feel for reading the time. If you want an uncommon and beautiful clock on your wrist, this is the watch for you! 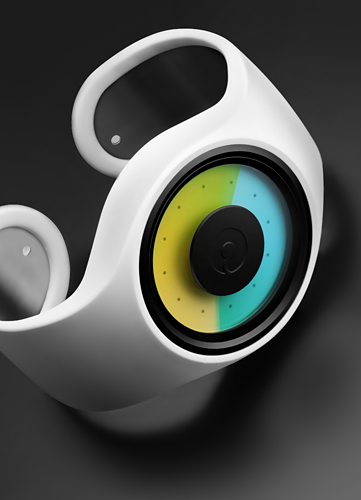 This watch concept has been featured on many websites such as Engadget and Yanko Design. 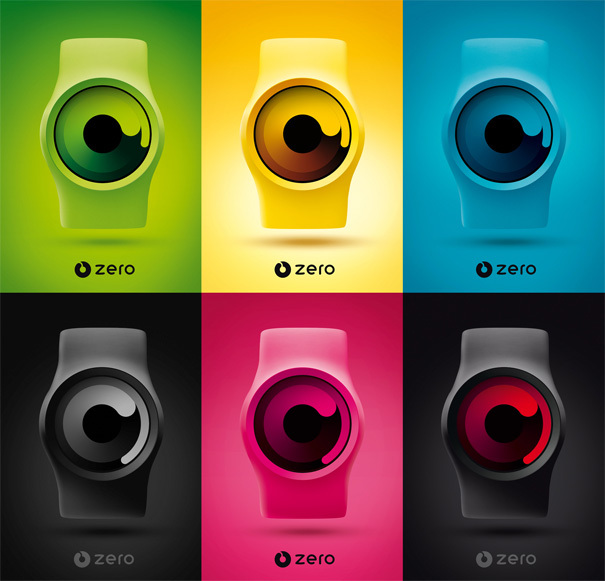 Since then (March 2010), ZIIIRO has become a brand with the goal of making unique and stylish wrist watches. This is a really cool watch, breaking the whole traditional watch concept. Certainly re-inventing the old school watch was way cooler this time. Minimal but usable. A concept before now it can be purchased! 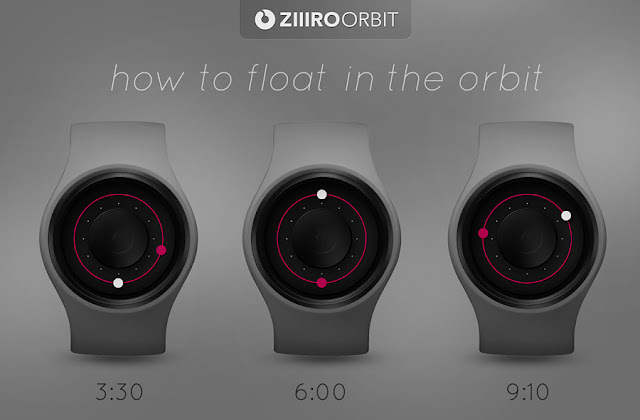 The ZIIIRO Gravity presents a simple and unique way of reading time. The tip of the inner swirl represents the current hour, while the outer swirl displays the minutes, with a continuous gradient movement showing the passing through time. Resting on our patent pending bracelet strap, it combines silicone and metal to form a flexible bracelet watch. 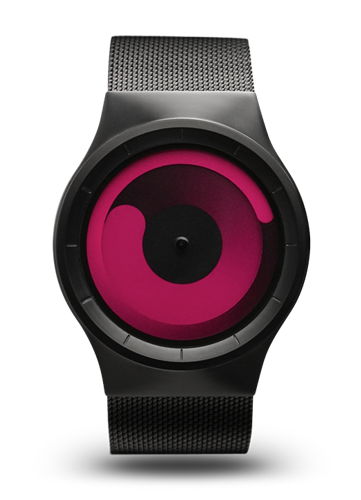 This model also features an interchangeable clock body switchable with multi color straps. ZIIIRO Gravity comes in 9 colors of white, red, green, yellow, blue and magenta. Check out other watches below, really Cool! The Aurora displays time using two transparent gradient discs, blue color representing the hour and yellow displaying the minute. By overlapping both gradients, it creates a new array of green color that will catch attention whether at the beach or going out on a date. Resting on a bracelet strap, it combines silicone and metal to form a flexible bracelet watch. 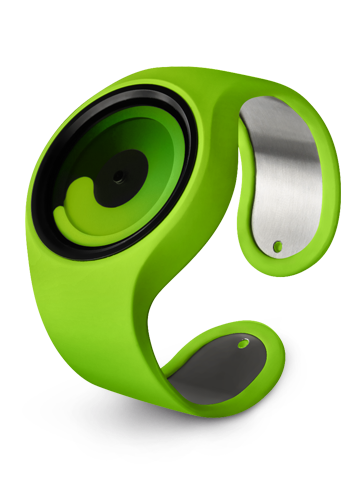 This model is fully interchangeable with other watches in the rubber bracelet series. ZIIIRO Aurora comes in two colors of white and grey. If you guys really want to buy this, you have to shell out EUR 110 - EUR 150. Uniqueness and awesomeness has a price.Check out their site here for more info. http://www.ziiiro.com/shop. Personally I'm loving the Ziiiro Mercury.. ARRGGGHHH!!! !